Every Sunday I cook an old fashioned home cooked meal for my family. I truly LOVE to spend all day Sunday in the kitchen in my apron. It is very therapeutic. Everything is made from scratch. Of course my dad says it’s not truly made from scratch if I didn’t milk the cow, gather the eggs, harvest the wheat etc. But, it’s as “from scratch” as it is going to get considering I do not have a farm. I set the dishes out buffet style in my kitchen and lately, the line of diners stretches out into the hall! I am usually serving at least 12, but that is quickly growing. For the most part I am proud to say my dishes come out quite yummy. But there are a few things I have yet to master. The perfect biscuit is one of them. A few Sundays ago it was time to try again. 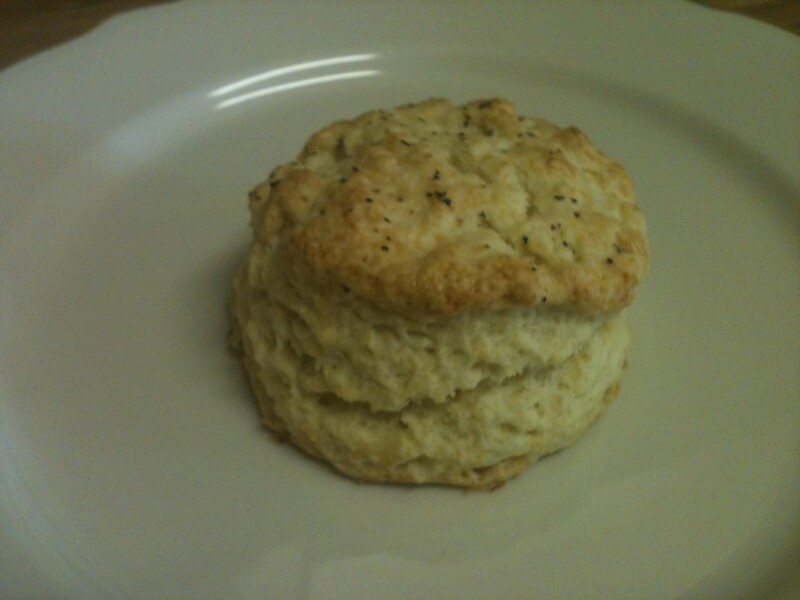 I read all the recipes, all the tips and techniques to make the biscuit rise, split and be light and airy. After carefully choosing the right kind of flour, freezing the butter before combining, being careful not to over handle the dough and develop gluten I produced my best biscuits on record. I did not want these beautiful biscuits to go undocumented. In the process of taking a picture of one of the specimens, my husband walks by. He stops when he realizes what I am doing. He shakes his head and with a smirk asks, “are we going to be allowed to eat them?”. I gave him an embarrassed smile and a “maybe” as an answer. It made me laugh at myself and want to share the story. Happy Dining!